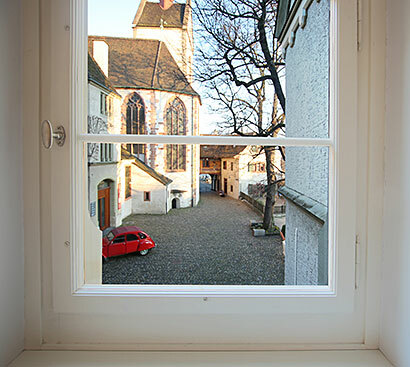 Situated In the heart of Basel's old town, au violon offers a cozy stay coupled with a touch of French ambience. Central, but somewhat hidden - Au violon is just the place for a special and relaxed stay in Basel city. 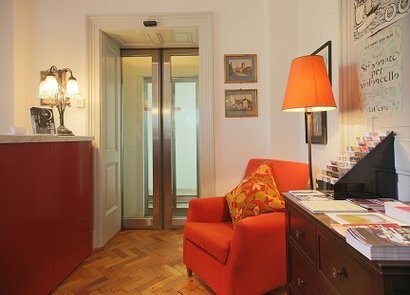 From the reception, a glass lift moves through the corner tower of the historic building, down to Barfüsserplatz, where museums, cafes, bars, restaurants and shopping facilities are within comfortable walking distance. Our hotel is set over two floors with a total of 20 individually designed guest rooms. Rooms of different categories offer either a sweeping view over the city toward its famed Münster or are directed to the tranquil inner courtyard.